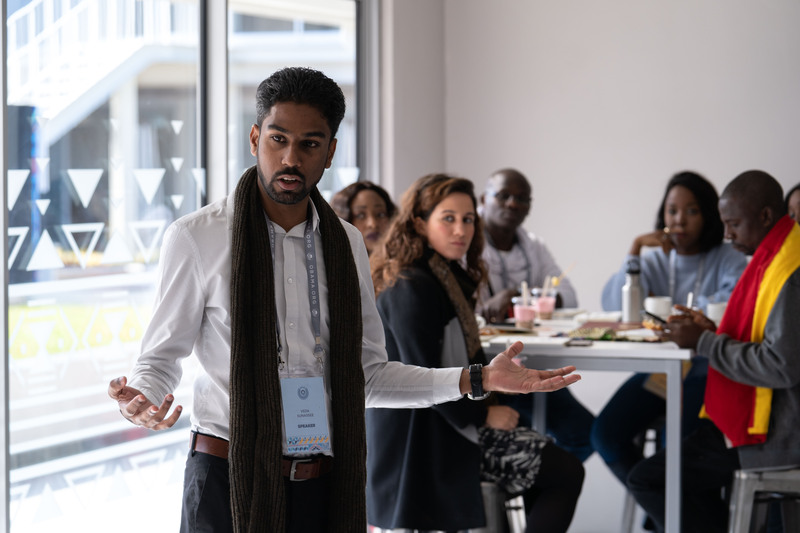 Earlier today, Veda Sunassee, Head of College, African Leadership University, shared his reflection on his experience at the Obama Foundation Leaders: Africa program in Johannesburg, South Africa, on Sunday, July 15. If you’d like to receive updates like these, you can sign up for our email list here. I’ve spent most of my career focused on one thing: helping educate and support Africa’s next generation of leaders. So, even though my flight to Johannesburg to attend the Obama Foundation Leaders: Africa convening arrived at the unearthly hour of 3:00 a.m., I was still energized to attend the first day of the gathering that morning, focused on facilitating leadership. The chance to meet 199 of Africa’s most inspiring and passionate young leaders, as well as to watch an incredible lineup of speakers was enough to beat back the jetlag! We started the morning with an exciting conversation with Mo Ibrahim, a mobile pioneer and a proud advocate of good governance and leadership on the continent. He gave an unabashed and candid assessment of the state of affairs in Africa and what African leaders, like ourselves, can do to improve things. I walked away with a powerful lesson from him: that leaders ought to be comfortable making sacrifices in favor of progress, even if it means sacrificing popularity. That thought naturally extended itself to the three sessions on the “Leadership of Others” that I had the opportunity to facilitate. 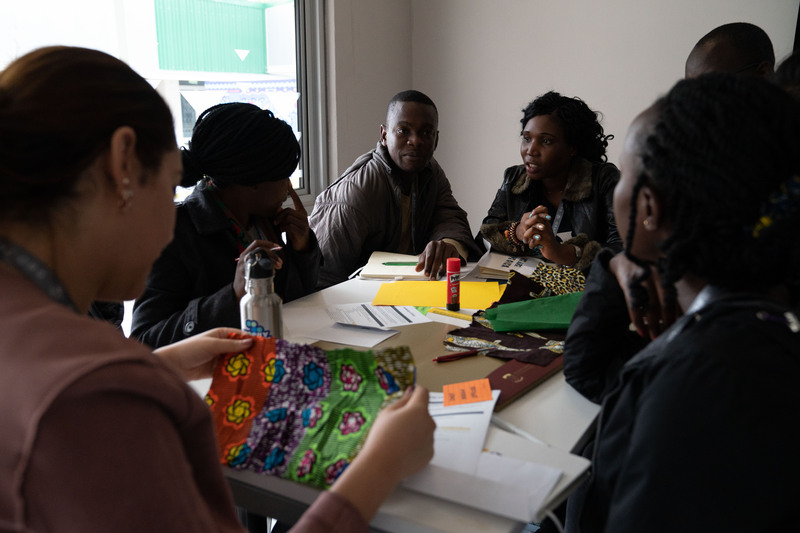 By the end of those sessions, both the participants and I walked away with the realization that the true hallmark of leadership is not perfection, but rather an ability to react to and learn from our imperfections. Everyone who showed up in the sessions today truly brought their authentic self. By pushing people to adopt different roles in exercises (like CEOs, COOs, and regular employees), participants gained empathy for each other, opened up and became vulnerable. As an educator, I am convinced that’s when we elicit the best learning. For instance, one participant shared that “as a leader, I realized that I don’t like to be led.” We also had funny moments when some of the CEOs thought they had done a great job leading the group, only to learn from the participants a few minutes later that their leadership wasn’t necessarily perceived in the same way. Effective leadership isn’t about telling others what to do. It takes emotional intelligence: self-awareness, self-regulation, and empathy; it requires an ability to communicate effectively and respectfully. It was Maya Angelou who said that we may not remember what people say or do to us but we remember how they make us feel. I will definitely remember today, for the experience of being in a hugely diverse group of impactful young African leaders, and all of us feeling the power of authenticity and vulnerability.